Discussion in 'UFOs, Aliens, Monsters, and the Paranormal' started by Mick West, Mar 30, 2019. When you take a photo or video of a bright light (or even just look at it) the light often appears a lot bigger than it actually is. The phenomenon is well known, but not really something I'd thought about. Why does it happen? What determines the shape of this glare and how big it is. Glare comes up in several topics here in Metabunk, but there's two in particular. Firstly there's the glare around the Sun, which has led some Flat Earth people to claim that the sun gets visibly bigger during the day. However it actually stays the same size and is just brighter. Here the actual "light" (the heat source) is quite small, but the glare is very large. Multiple glares combine together and overlay, obscuring the actual shape of the planes. The rotation, which seems very unlike a normal aircraft. The aura is simply something you get around any bright glare in an IR image. It does not indicate anthing of interest. This derotation, and the potential for rotating glare/flare is discussed here. It's not really disputed, but can be difficult to explain. However it's clear that rotating glares can happen. I'd previously referred to this as a "flare" or "glare" interchangably. However "flare" is more commonly associated with "lens flare", which is a reflection inside the lens resulting in multiple images of the light - often as a line of different circles, or sometimes as a single reflection. To avoid confusion I'm going to try to stick to "glare" - meaning an enlarged and distorted shape of the light viewed directly. So with the rotation and aura explained, the question remaining with the Gimbal video is: "why is it shaped like that?" and "what is the underlying object." The first question raised would be "is it even a glare?" Perhaps instead this is the actual shape of the object? I think not, largely because of the way the shape changes. Is the above the true shape, or is this early shape? Of the more dramatically different "white hot" image at the start? This again was discussed in the other thread. A flashlight with the reflector removed was used a bright light source. Images were taken with an infrared camera at different angles, and the result was a saucer shaped flare with a distinct long axis that roated based on the camera. This is nothing new, but with the renewed discussion on Facebook I set out to investigate more what actually makes these shapes, and if the Gimbal shape was plausible. The result again was a saucer-shaped glare that rotated. Now, this is still a ways from replicating the Gimbal glare shape, but it's a start. Given the complexity of the gimbal optical path, it seems plausible a more complex shape would emerge. Streaky glass tends to give these long flare though, which is not what we see. While I did replicate a rotating saucer-shaped glare by rotating streaked glass, it still had some long streaks. So it's possible that the streaks we just too thin to be recorded in the video. This whole issues kind of got lost in the other thread, so I'd like to revive (and hopefully resolve) it here. What could cause this rotating glare shape? Can it be replicated? Here I've adjusted the video of my "streaky slide" to be more like the Gimbal video in terms of contrast and resolution. The long streaks are less apparent. It does change shape a lot, but that's probably because the slide is moving around, whereas in the Gimble situation it would be more fixed. There was no extra streaky glass. So where does the shape come from? Well, perhaps from the glass on front of the camera? It's a bit dirty, not really streaky though. I gave it a thorough cleaning, and this did seem to reduce the oblateness of the glare. Hard to get REALLY clean though. This is after I cleaned it. I have some questions about this experiment. Was this an IR camera ? Otherwise I'm wondering why the light appears black. What causes the small secondary black spot that is moving around ? - lens reflection ? What does the "derotating" software actually do ? Does it track image features to infer a rotation matrix which it then inverts ? It might be helpful to see the un-derotated video to get a better sense of what the software is doing. Essentially yes. See the two yellow balls? I put them there to give the software something easy to track. Sorry, just to clarify this one (in color) is obviously not IR. I just converted it to B&W and inverted. The video with the slide is using an IR camera but is also inverted. I think the effect is even clearer without the derotation. You can clearly see the glare move relative to the background, which I guess proves that it's coming from the lens or something attached to the camera rather than from the light. I think to get into the details here we need to understand what causes glare in the first place. Why is there a big light in the image when the actual light is small? The answer seems to be mostly diffraction. When the light from a bright object makes an image on the sensor (or film) then theoretically all the light should fall on that image. However whenever light hits something, like the edge of the aperture, or dirt or streaks on the glass, or imperfections in the lens, then it gets bent by diffraction, which spreads out the light in directions that depend on the shape of the obstruction. 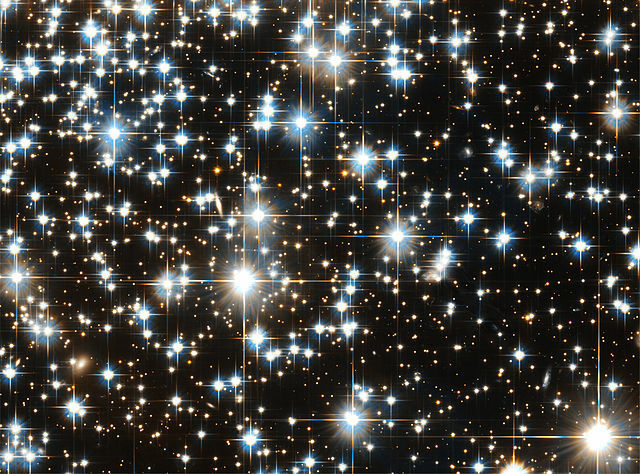 Which leads to what are called "diffraction spikes", like in this image from the Hubble Space telescope. Now in all three cases there still significant glare, but smaller spikes with the wider aperture. The wide open glare seems more circular, and the small aperture glare is more hexagonal. So it would seem that the inner glare here is the even diffusion of light all around the edge of the aperture (or just the circular sides of the lens interior if the aperture is fully open). This glare is lens relative, and so it does the same kind of rotation we are talking about here. So, to extend this to the Gimbal video, could it be something in the camera itself making this shape? Some diffraction spikes from something in the light path, like the de-rotating mirrors? Or maybe a combination with dirt/water/smudges on the lens? In the case of the Gimbal video, isn't the purpose of the camera rotation mechanism only to counteract changes in the aircraft's attitude ? If that's the case it shouldn't be moving unless the aircraft's attitude is changing. I think there's HUD symbology in the FLIR videos which indicate the aircraft attitude. Can we tell if the apparent object rotations correlate with changes in that symbology ? Mie scattering causes glare, because it is highly angular. Some types of scattering are also sensitive to polarization. The screenshots are from the first 20 seconds. So the derotation is to correct this "pendulum effect". 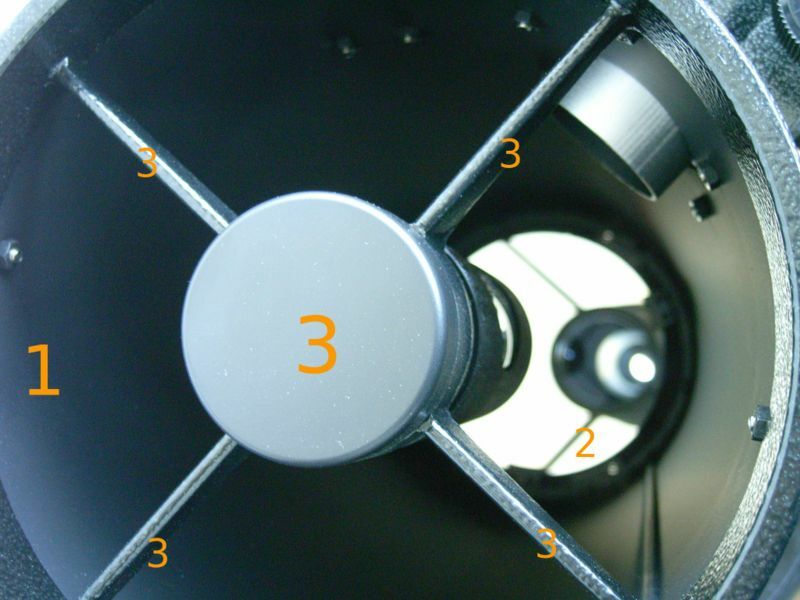 It's also a bit more complicated as there are coarse and fine gimbals, so the derotation need not be continuous. Mie scattering causes glare, because it is highly angular. Much more of an issue for the Sun, I'd think. I'd be very surprised if atmospheric glare was a factor here. Particularly as it would not rotate. I think it would be Mie scattering from particles or imperfections on the lens. While this article is focussed on the eye, it confirms the glare is largely a diffraction phenomenon from obstacles and the edges of the aperture (the pupil in this case). Here's something call the glare-spread function. Following that link we see it talks about "veiling glare" which is a general term for glare that obscure part of the image, and seems frequently to refer to glare that gives the entire image a hazy look with reduced contrast. In the "Glare Spread Function" chart. The narrow part of the central spike seems to be the actual sun, the widening at the "base" is perhaps hard glare then the light below this is much less. To investigate the shape of glare, I set up an open "camera" consisting of a lens, and a backplane representing where the sensor would be. This was put in the sun pointing at the window. You can see the sun on the paper, and a bit of the window. The lines are used for focus. There's the glare! Or is it? I found it hard to tell what was light spread on the projected image, and what was glare in the camera taking a photo of the "photo"
Here's a great video by Dave Falch showing a somewhat similar glare around a jet flying away.